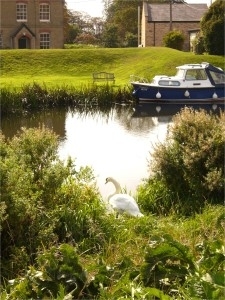 As well as serving the people of the City of Ely, the Council also operates in five villages in the local area. Prickwillow derives its name from the willow prickets which were once grown there and mainly taken by boat to the basket making yards at Ely. Prickwillow is on the River Lark, but was also once on the Great Ouse, before Sandall’s or Sandy’s Cut was made in 1829-30 just north of Ely up to Littleport. The old river bed and bank then gave a firm foundation on which Prickwillow developed. There is evidence of early settlement despite most of the village being below sea level, but Prickwillow as seen today developed in Victorian times. A school was built in 1862, but sadly closed in 1982, while St Peter’s Church was built in 1866, but again sadly has been made redundant and its future is uncertain. Two chapels in late Victorian times one for Baptists (1874) and one Primitive Methodist (1894). Because of the lowlying land and the high water table, all burials take place in Ely. Despite a population of around 430, the village no longer has a shop or any pubs, but there is a new village hall and a social club, established by Frederick Hiam, who was a major farmer, in what is very much an agricultural village surrounded by rich fenland. The old pumping station at Prickwillow is now a fascinating drainage museum run by a trust and next to it are the offices of the Ely Group of Internal Drainage Boards. Queen Adelaide is notorious for having three railway crossings, a bridge over the railway and a bridge over the River Ouse. There is a village hall, but the small church of St Etheldreda built in 1883 has been a private house since 1978. The settlement with a population of around 220 has a garage and two major employers – D.S. Smith’s and the Potter Group’s distribution centre. Potter’s is on the site of the former Beet Sugar Factory which was built beside the Ouse in 1925 and closed in 1981. The old settling ponds from the Beet Factory are an important wildlife habitat. Queen Adelaide takes its name from the public house that was once there. Queen Adelaide (1792- 1849) was the wife of King William IV. Turbutsey, the saxon port for Ely, which is about a mile away, was somewhere near the Potter site, but became redundant when the Ouse was cut near Ely. Between 1829-30 the Ouse was straightened from near the old port towards Littleport. This straight wide stretch of river is used by the Isle of Ely Rowing Club and was where the 1944 boat race between Oxford and Cambridge was held. The present Cambridge crews train there and Cambridge University is about to build a new boat house just south of the village along Queen Adelaide Way. Stuntney is an ancient settlement on higher ground affording one of the great views of Ely cathedral. There was an important causeway across the marsh and bog of the flooded fen, that carried the route, now the A142, from Soham to Ely. Stuntney was an important medieval fishery. The River Ouse once flowed at the foot of the hill and the old river bed, or roddon, can be seen in the soil, but the river was moved around 1100 to the foot of Ely’s hill to enable stone to be unloaded for the building of the cathedral. Holy Cross Church was built in 1876 on the site of an earlier Norman church, but had to be rebuilt in 1903, probably because of problems with the foundations which affected the original church. The current population is around 220 although the village no longer has its pubs or shop, but there is a social club. In 1986 the village was by-passed cutting off Stuntney Old Hall, once owned by Oliver Cromwell. The Old Hall was a late tudor or Jacobean red brick house but fell into total disrepair until the Morbey family, who are the principal land owners and farmers, lovingly restored and enlarged it as a beautiful bed and breakfast and wedding venue. Chettisham is a small settlement a mile or so north of the growing city, but proud of its separate identity. The small church of St Michael and All Angels dates from the 12th and 13th century and is testament to the length of settlement there. Chettisham, once had a railway station on the Ely to March line which opened in 1847, but sadly closed to passengers in 1960 and to goods in 1964, although some of the buildings associated with the station remain. In 1880 there were sufficient children in the village to merit a school which indeed was enlarged in 1897, but closed in 1934. Today the population is around 180, there is a garage and business park and an industrial area near the railway line next to the postwar grain store. Chettisham Meadow, maintained by the Wildlife Trust, is a beautiful ancient ridge and furrow meadow famous for its cowslips and wild orchids. 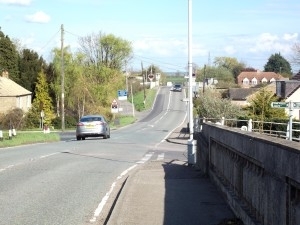 Once it could be reached by a footpath from the bottom of The Hamlet but was cut off by the A10 Ely Bypass in 1986. Shippea Hill is mostly known for the railway station. It was opened in 1845 as Mildenhall Road and then in 1885, its name was changed to Burnt Fen. Finally in about 1904 the name was changed to Shippea Hill. The station is situated on the line between Ely and Norwich, near to the tiny hamlet of Shippea Hill in Burnt Fen. The land on which the hamlet is located is one of the few areas within Burnt Fen which rises above sea level, thus being a true, albeit very obtuse, hill.